Moving to a new office location brings new opportunities. 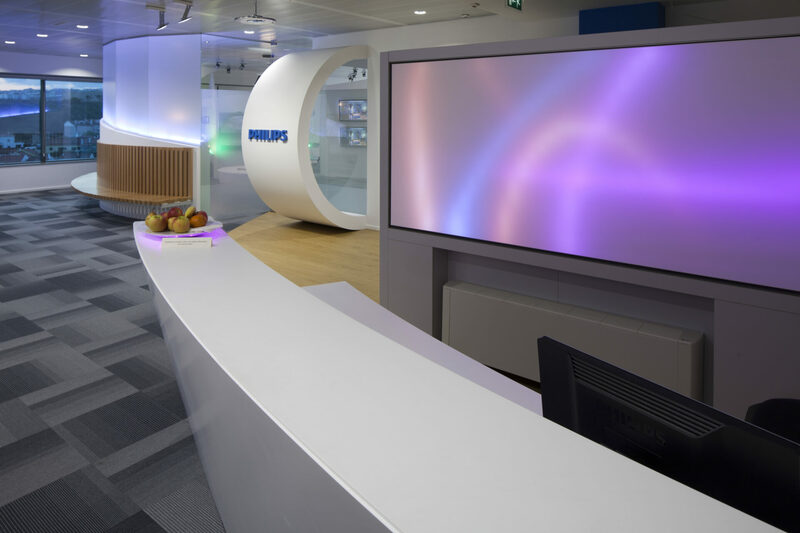 When Philips in Portugal decided to move its headquarters to a new building at Lagoas Park, West of Lisbon, an experience center was key priority. Supported by the corporate Workplace Innovation program the Portuguese team was able to define a sustainable program of requirements. By setting up an in-depth analysis, workshops and interviews and using the guidelines our team developed an inspiring working environment. Connecting with the landlords’ team, including the M&E engineering was needed to align the technical installations with the space planning and the interior design. By adding space dividers with pictures of the ocean connected Philips brand our consultants included the local culture in the project. No assigned desks but a diverse set of worksettings are supporting the teams and the employees. The sharings-ratio of 0,8 was challenging but feasible. The experience center is inspired by the waves of the Atlantic Ocean and a wonderful place to visit. 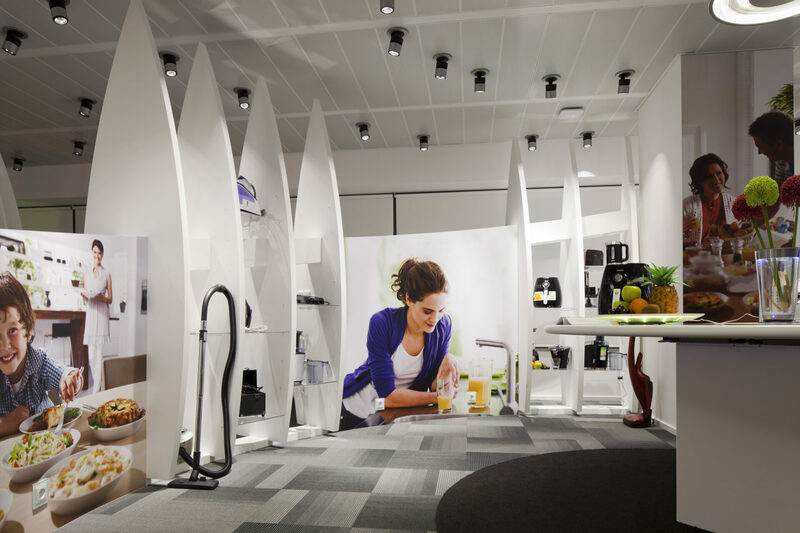 The Philips products are presented in a real live setting in a kitchen, living room, sleeping room and bathroom.